UPDATED: Mon., Aug. 6, 2018, 3:36 p.m.
Former Idaho guard Victor Sanders will join the Telenet Giants Antwerp of the Pro Basketball League in Belgium. Sanders, who averaged 19 points per game as a senior, helped lead the Vandals to a second-plance finish in the Big Sky. He earned second team all-conference honors, and was also second-team NABC All-District 6. He played in two games with the Denver Nuggets’ NBA summer league entry. 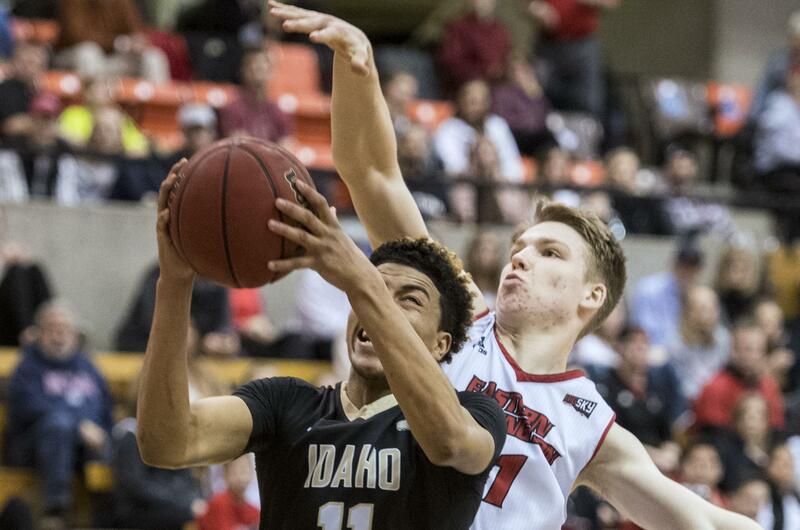 Sanders finished his Idaho career second on the all-time scoring list with 1,804 points. Antwerp plays in the top league in Belgium and advanced to the Belgian Championships last season for the first time since the format began in 2005. Published: Aug. 6, 2018, 10:32 a.m. Updated: Aug. 6, 2018, 3:36 p.m.